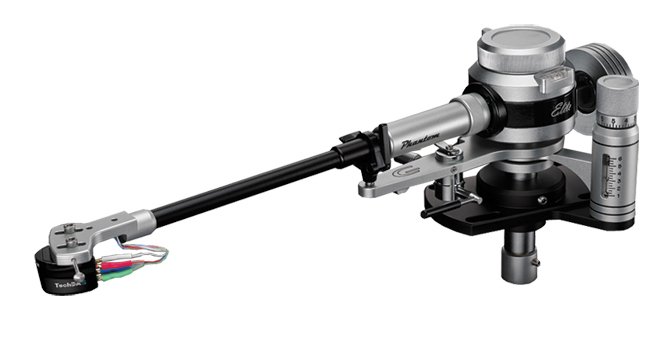 For best performance, the tonearm and cartridge must be matched. All cartridges will not work with all tonearms, and vice versa. To insure a proper match, one must be aware of the mechanical specifications of both the arm and phono cartridge. To see how these characteristics interact and determine compatibility, we must first understand the dynamics of the relationship. Any cartridge/tonearm combination will exhibit resonance at a specific frequency (or frequencies). This resonance is due to the interaction of the cartridge (acting as a spring), and the weight of the arm (acting as a mass). The "springiness" of the phono cartridge is described as compliance, the weight of the arm is specified in mass. As an example, a heavy weight on a light spring would obviously over-flex the spring, conversely, a light weight on a strong spring would not allow sufficient flexion. At resonance, the arm/cartridge combination produces a dramatic rise in output. An increase of 3 to 6dB or more is common. This tremendous boost can cause severe problems if it occurs in the region of recorded music (above 2OHz), or in the area where record warps and rumble are problematic (below 5Hz). A cartridge/arm whose resonance occurs in the region above 20Hz can be influenced by music on the record. At this frequency a significant jump in output (resulting in a "bloated" or "tubby" sound) will be experienced. In extreme cases, the stylus may actually jump out of the groove. Similarly, a cartridge/arm combination that exhibits a resonance below the desired range will exaggerate the effects of record warps, or rumble produced by the turntable. The goal in matching a specific cartridge and arm is to achieve a resonance in the 10 to 14Hz range. Some feel that limiting this range even further, to 9 to 11Hz, is beneficial in reducing the effects of resonance. Resonant Frequency = 159/((M + CW + FW) * C). Where M is the mass of the arm, CW is the mass of the cartridge, FW is the mass of the screws, nuts, spacers, washers, shims and C is the compliance of the cartridge. As an example, if we had an arm/cartridge with a combined mass of 15.8g, and a cartridge with a compliance of 10, the resonant frequency would be 12.45 Hz. This simple equation doesn't take into account all factors, including tonearm damping and, internal cartridge damping, but it will give you general idea of compatibility.